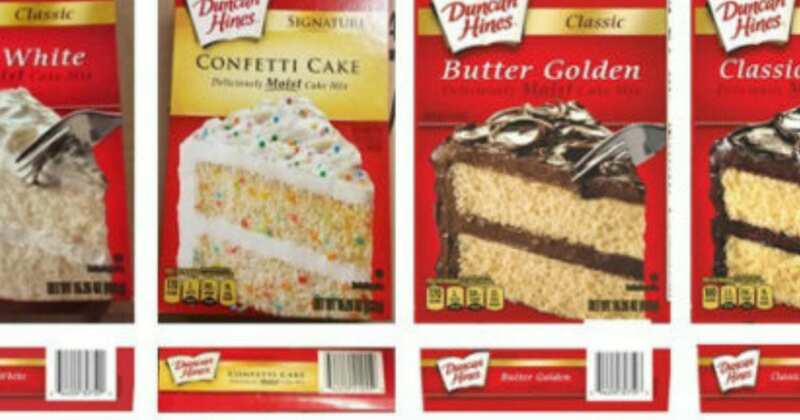 Everyone knows that a professional baker can work amazing magic with frosting, fondant, and modeling chocolate. But let’s face it … some people prefer pie to cake! And no one ever said that you can’t make a beautiful pie. 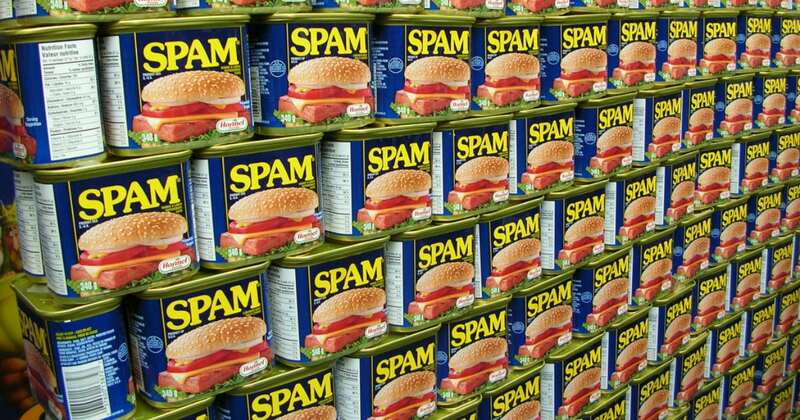 That’s exactly what Jessica Leigh Clark-Bojin is doing. 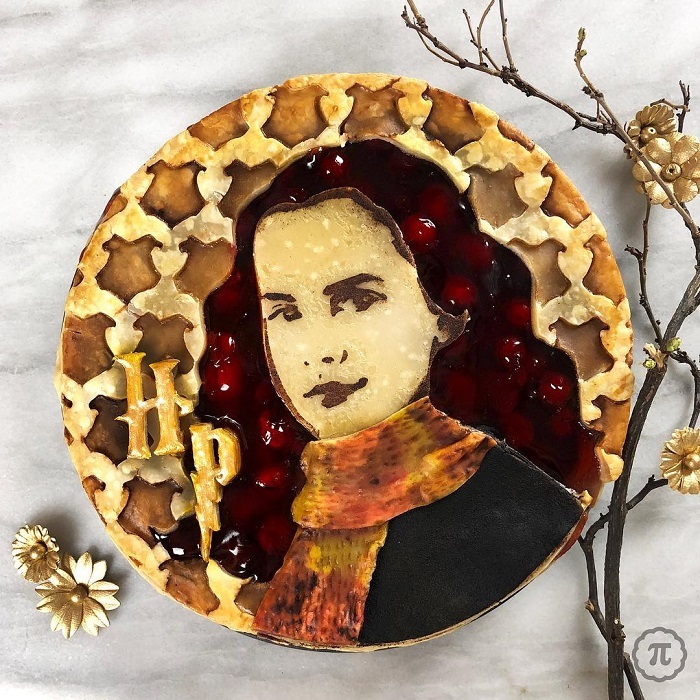 This extraordinary pie baker has gained attention on social media and around the world for her skills in making pies. The best pies she makes? 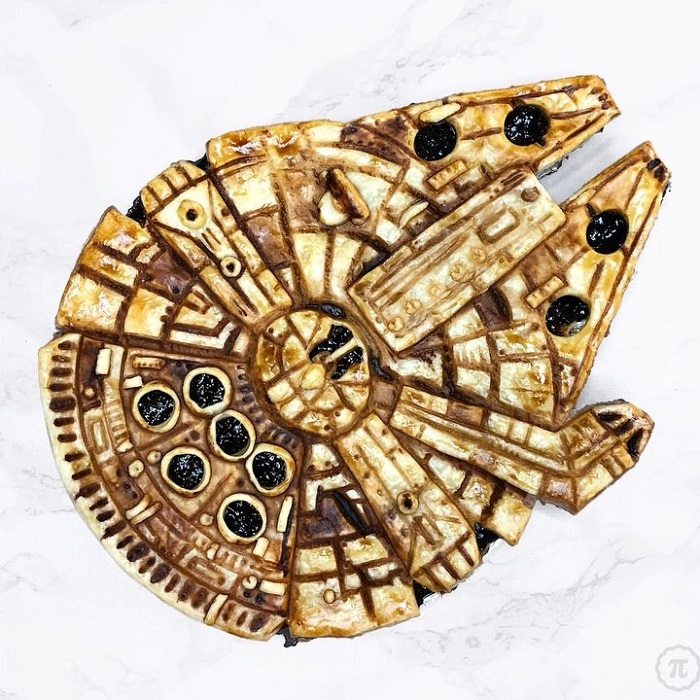 Her self-styled “nerd pies” that feature popular characters in sci-fi, fantasy, Disney, and more. It takes serious skills to produce the kind of pies that Clark-Bojin makes. 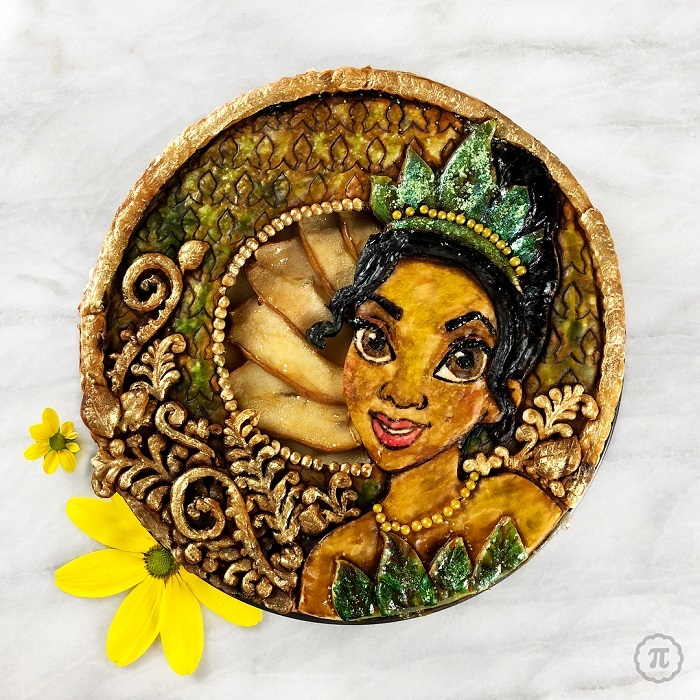 She doesn’t just experiment with ways to create beautiful designs in pie crust. She also gets creative with making the pies just as delicious as they are gorgeous! In fact, people love her pies so much that her work has been featured on The Food Network, CNN, Cosmopolitan, Food & Wine, People, and more. What’s even more surprising is that Clark-Bojin doesn’t actually have any professional training as a baker. What she does have is a design degree and a background in the film industry. It’s no wonder her pie designs are out of this world. In fact, they look almost too beautiful to eat … almost. 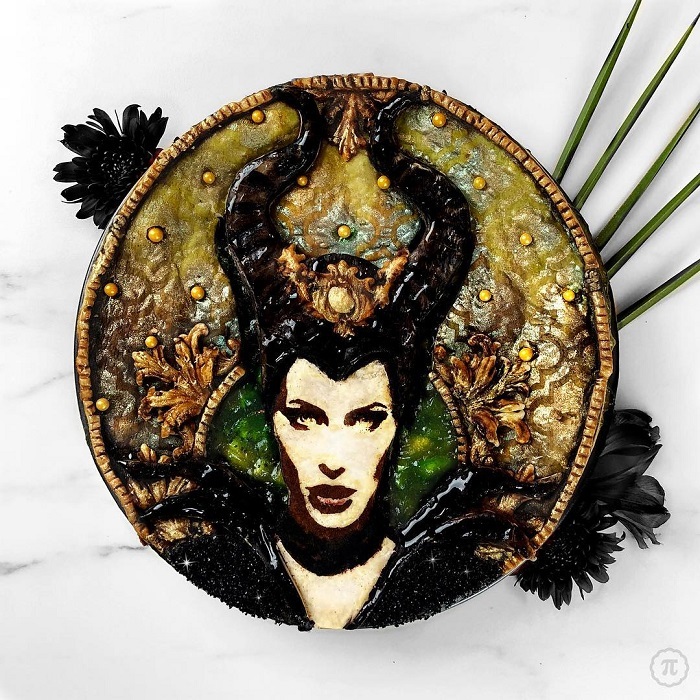 This amazing superhero pie looks as delicious as it is beautiful. Clark-Bojin perfectly captures the image so well that she can even envision herself gazing out over the horizon. 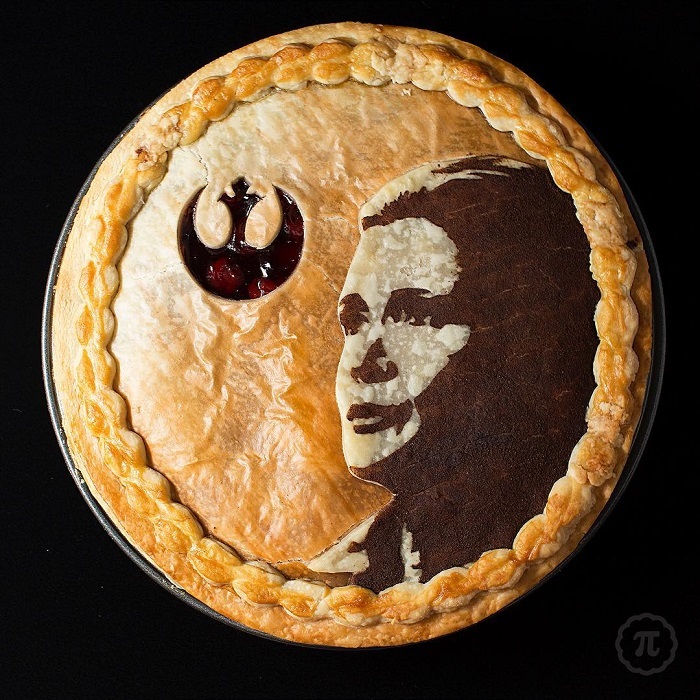 This pie might not save the world but it’s sure to taste delicious. If you’re from the United States, you might not be familiar with a mince pie. These savory pies are popular all over the world but they usually don’t look like this. 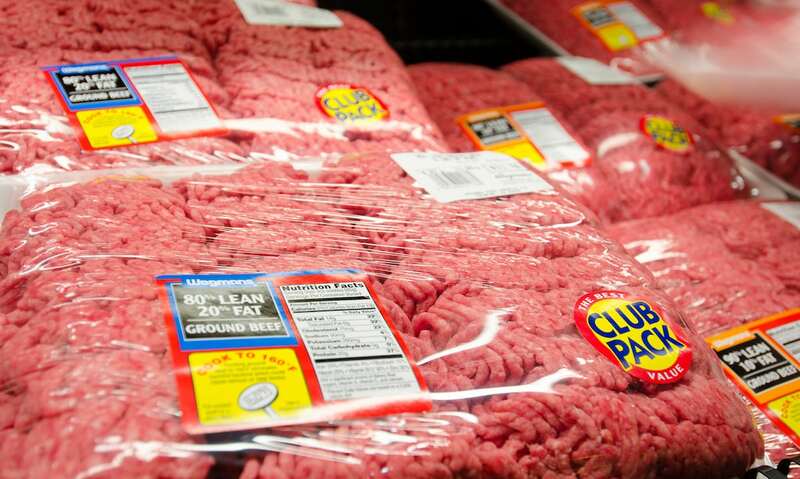 If they did, we’re not sure we could ever bear to eat them. 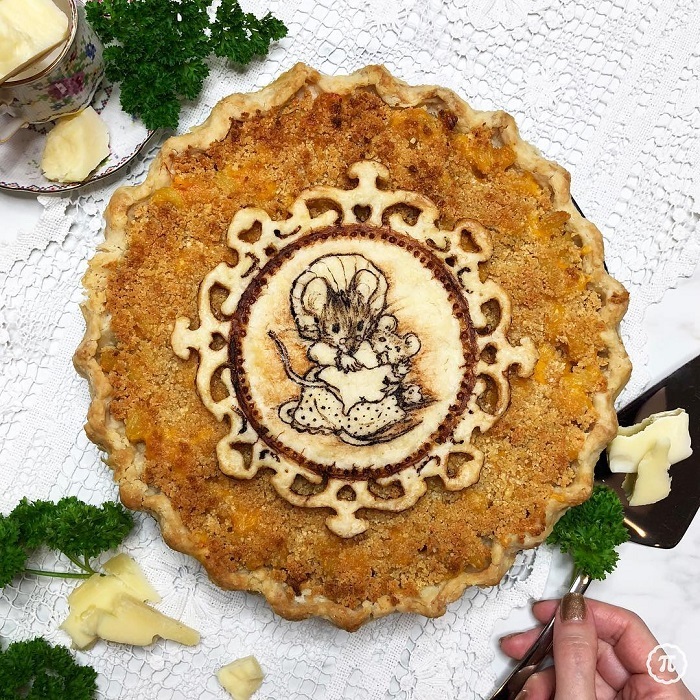 This adorable pie adaptation of a classic children’s book is also in the perfect children’s flavor: good old mac and cheese. Clark-Bojin shows that you can have just as much fun with savory pies as you can with sweet. This flavor is perfect for this Maurice Sendak classic about a boy named Max who sneaks off to the land of wild things. 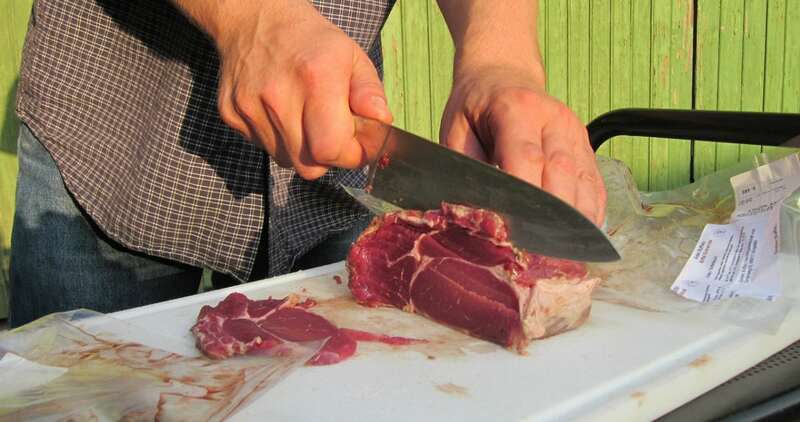 Clark-Bojin put as much thought into capturing the story in flavor as in pie crust. 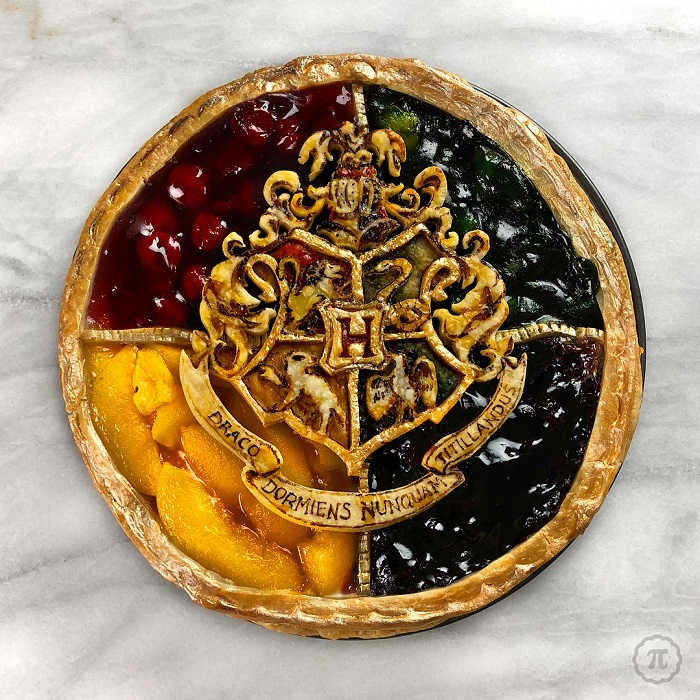 Clark-Bojin made this amazing rendition of the Hogwarts houses by getting creative with flavors. Hufflepuff is peach, Gryffindor is cherry, Ravenclaw is blueberry, and Slytherin is matcha apple. The question is, how to choose your slice? Is there a Sorting Hat for pie? Clark-Bojin seems to love depicting strong female characters in her artwork. Here is her rendition of Hermione in cherry. It’s the perfect choice for Hermione’s long curly hair. Betty White might be in her late 90s but she’s still Hollywood’s sweetheart. 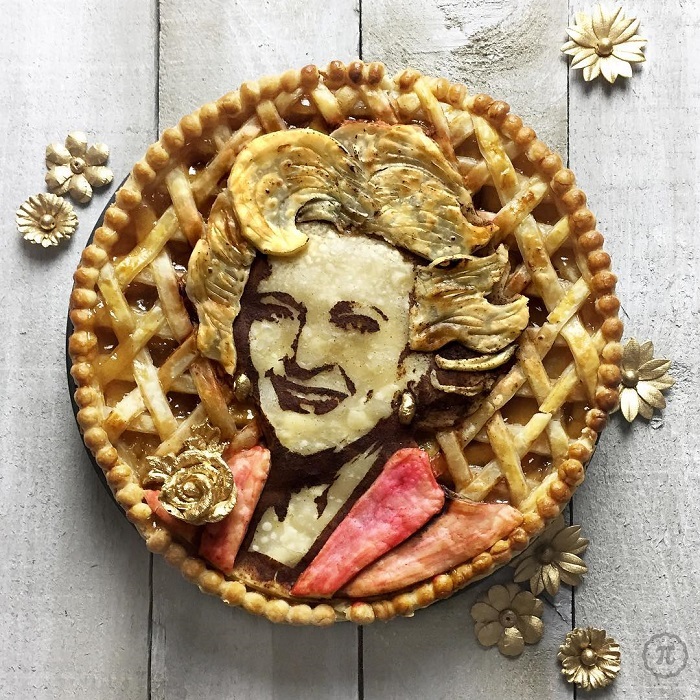 She’s extra sweet in pie form, depicted as Rose Nylund in The Golden Girls. Carrie Fisher inspired a generation of girls who wanted to be princesses AND warriors. 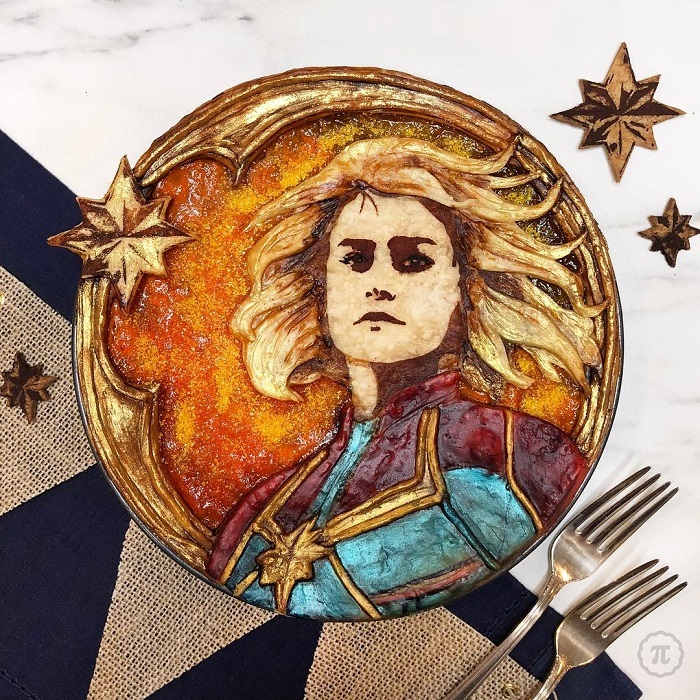 Clark-Bojin’s tribute to her is both beautiful and delicious. She depicts Princess Leia’s face in an awesome silhouette. Nothing says classic like an apple pie — a perfect fit for this classic comic strip. If you loved this mischievous comic duo, you’ll love Clark-Bojin’s perfect replica of them flying down a hill. Stan Lee, the creator of the Marvel comics, passed away in Nov. 2018, leaving many fans behind. 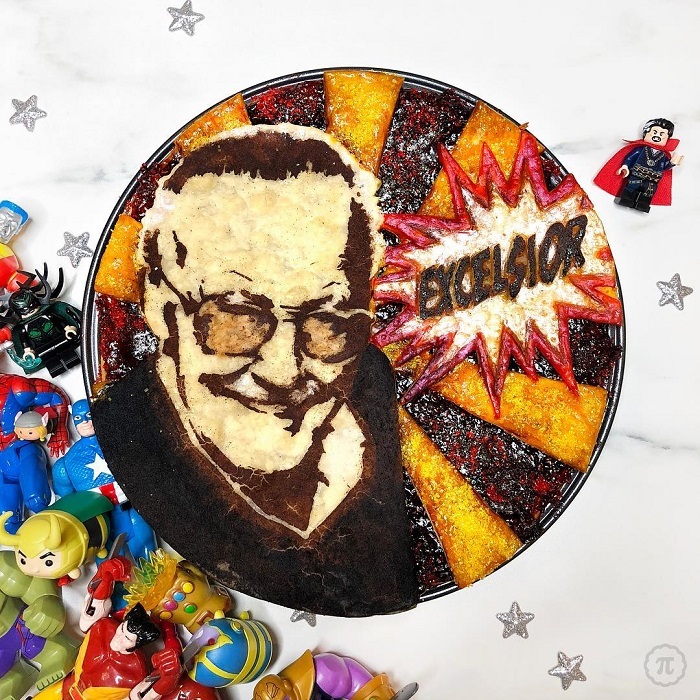 Clark-Bojin made a beautiful tribute — in pie crust, of course. 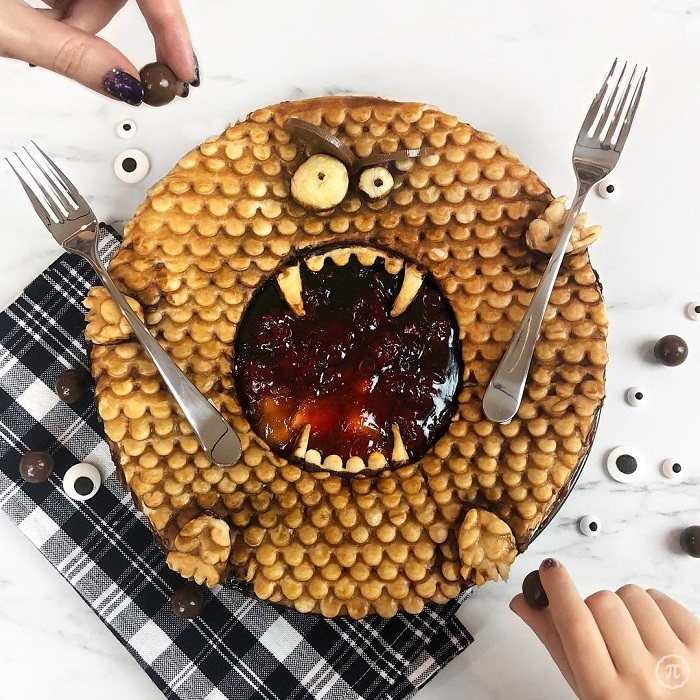 Clark-Bojin let her young son help her with a special Halloween pie. 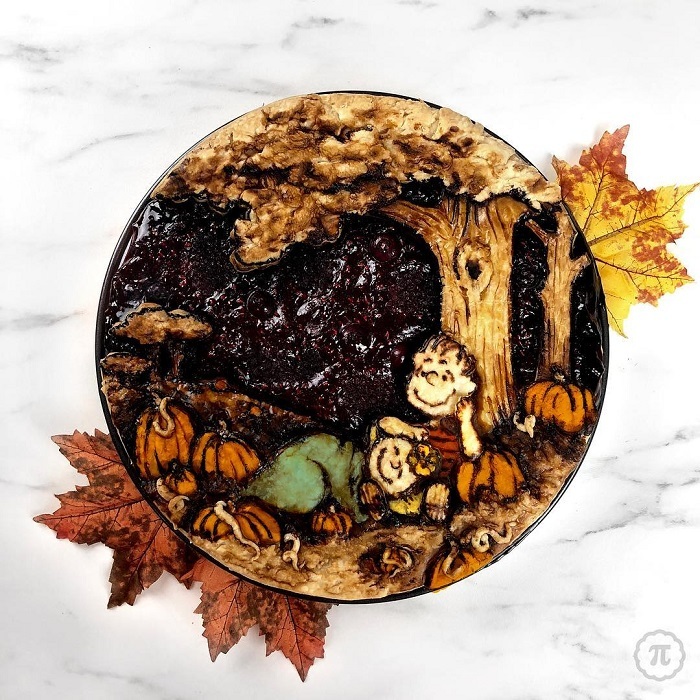 His choice was a pie depicting a monster — in every flavor, of course. 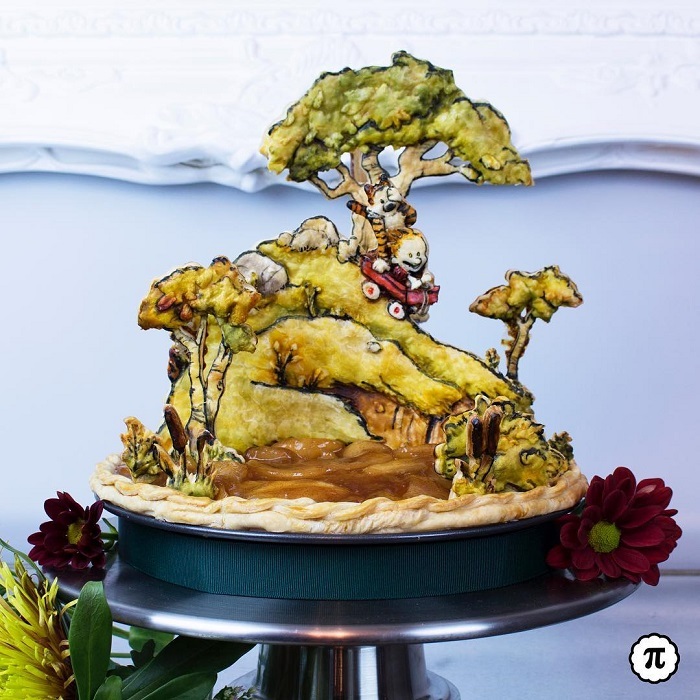 This pie absolutely shows the artistry that goes into Clark-Bojin’s work. She used maple syrup to get the beautiful glaze on top. 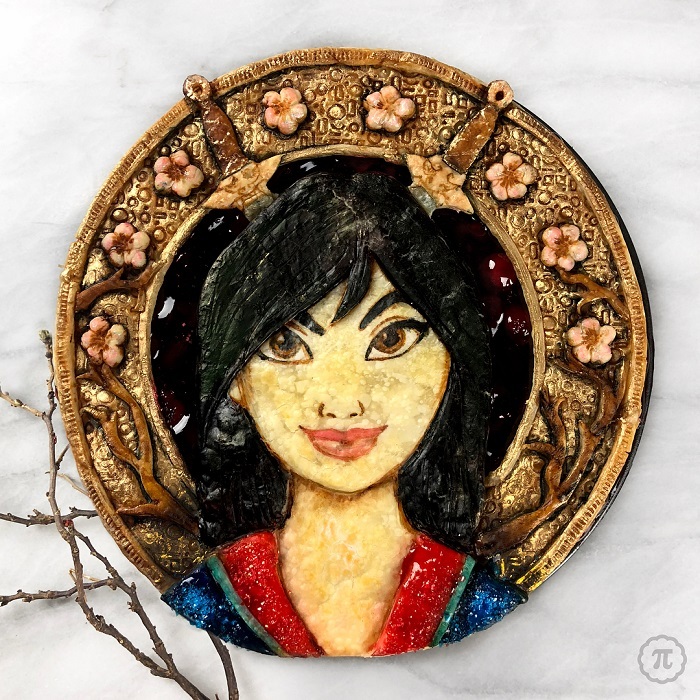 Considering the part that cherry blossoms play in her movie, cherry is a perfect flavor for a Mulan-themed pie! This pie is incredible. Caramel, bourbon, and pears seem like a perfect combination for the Louisiana-based Princess Tiana. 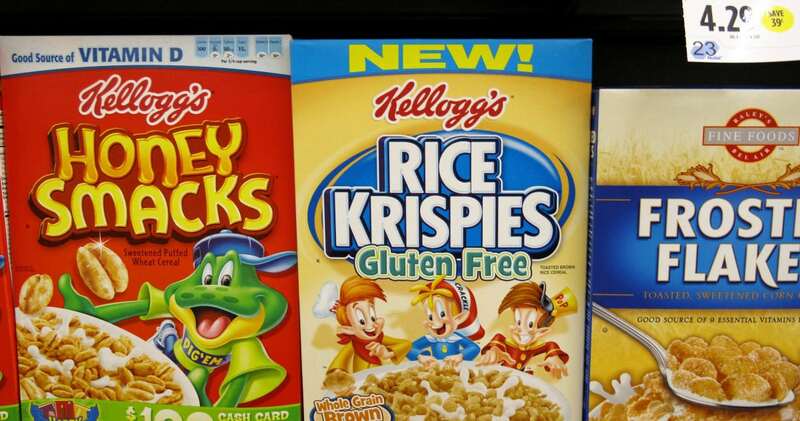 The flavors sound absolutely delicious. 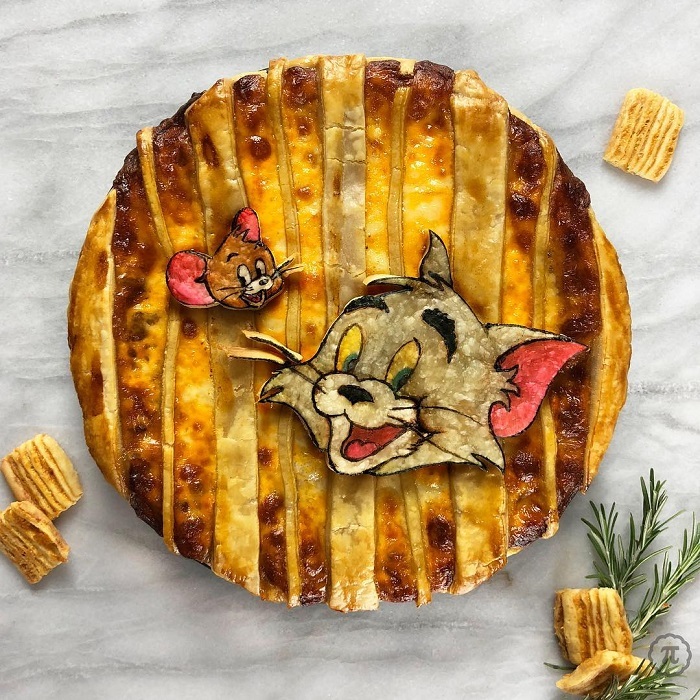 Apple and cheese aren’t exactly a traditional pairing for a pie but somehow, they go together perfectly for this classic cat and mouse duo. 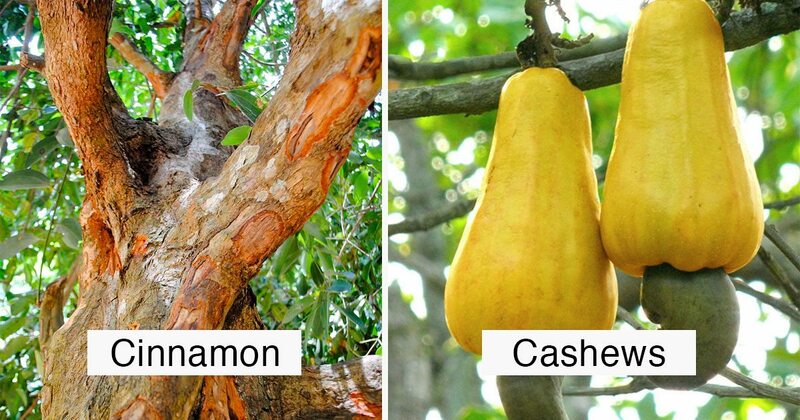 Even though the flavors are unusual, they sound like they’d be the perfect after-dinner treat. 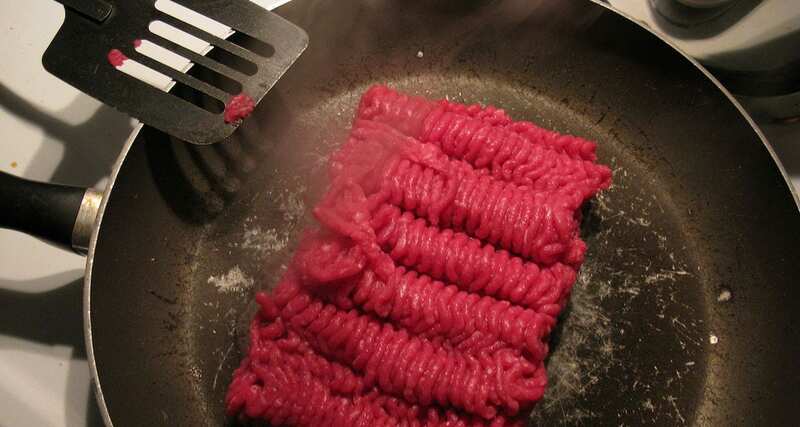 Clark-Bojin likes to avoid synthetic food dyes simply because they tend to make flavors bitter. 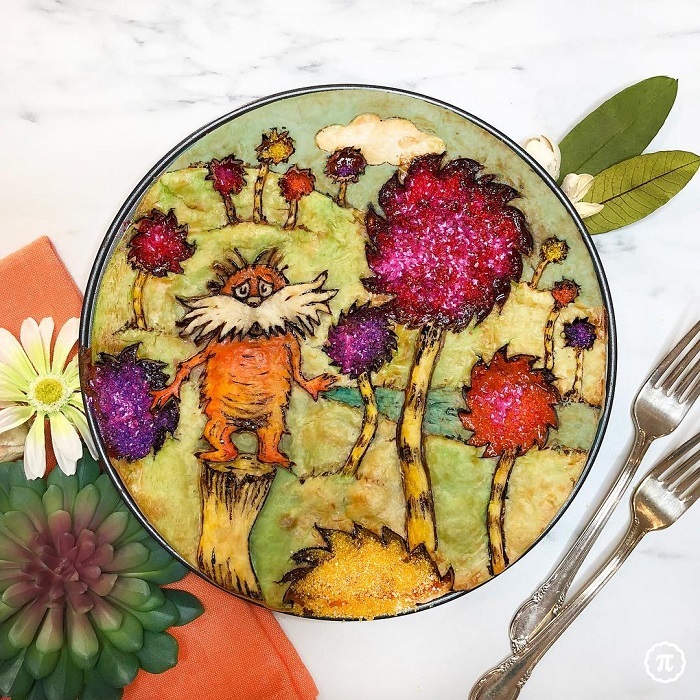 But The Lorax is all about being environmentally-friendly, which makes this pie ideal for plant-themed dyes. 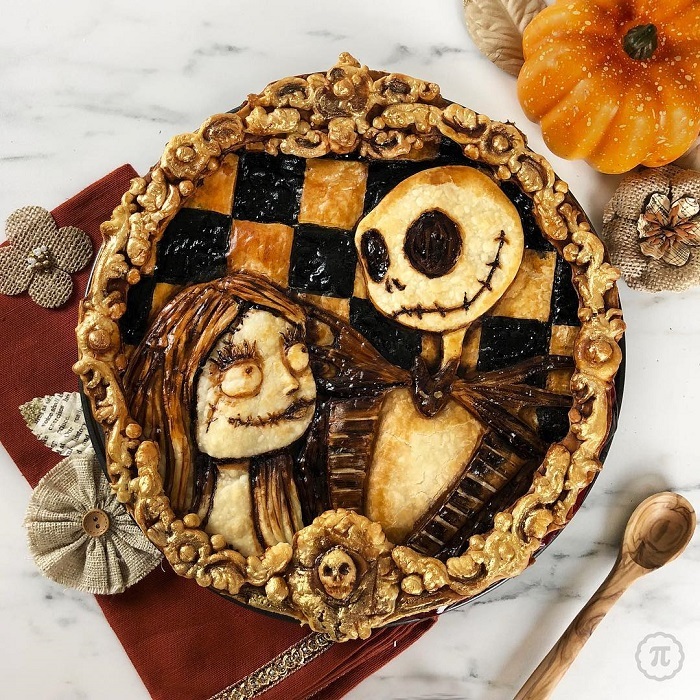 This Tim Burton classic was recreated to perfection in cherry pie form. Considering the theme of the movie, it’s up to you to decide if that’s morbid or sensational. 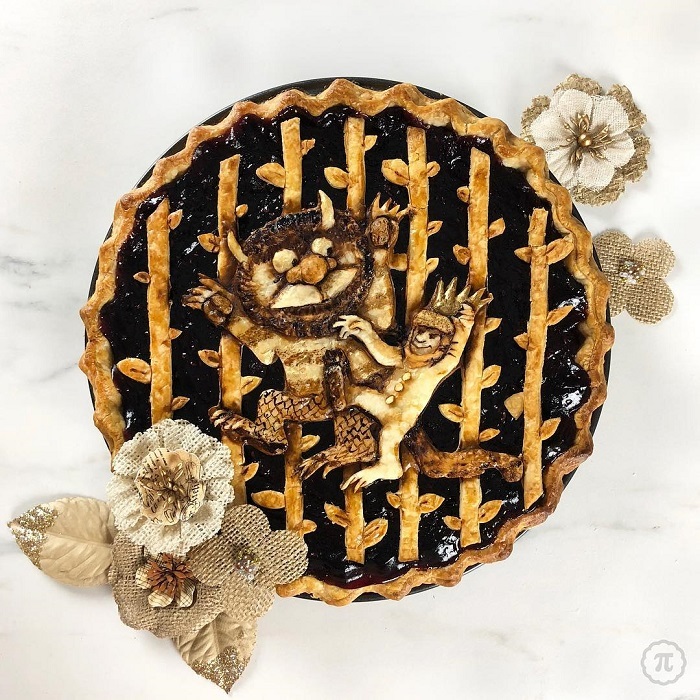 Clark-Bojin said she took a little creative license with this pie design, inventing a scene that isn’t actually in the movie. 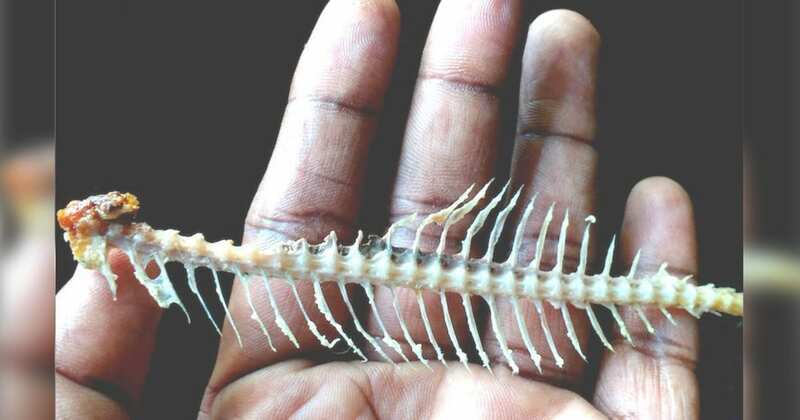 But it’s an adorable representation. If there isn’t room for a creative license on a pie, what’s the point? Clark-Bojin said she was conflicted about the perfect flavor for this pie. 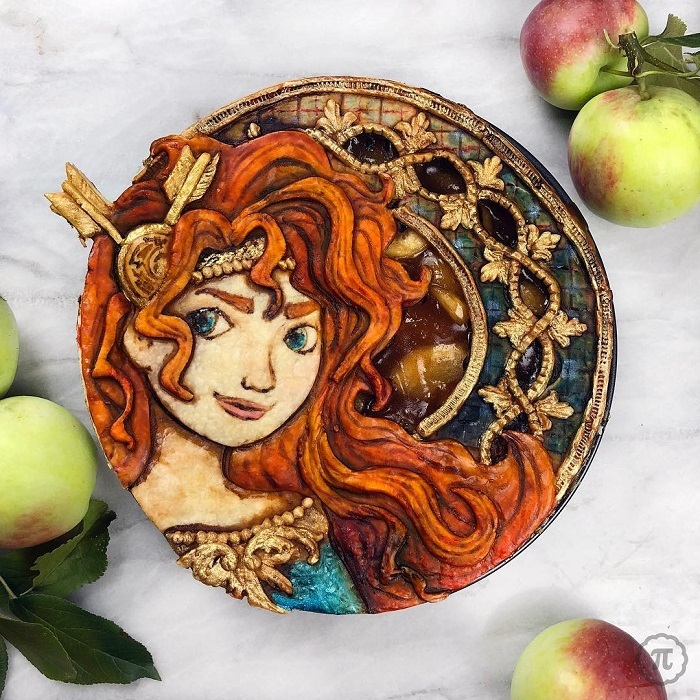 Princess Merida is shown to love apples but she also feeds her mother a blueberry pie to turn her into a bear. Apple won the day in the end. We can’t imagine the kind of construction work that goes into supporting upstanding apple pie sculptures. 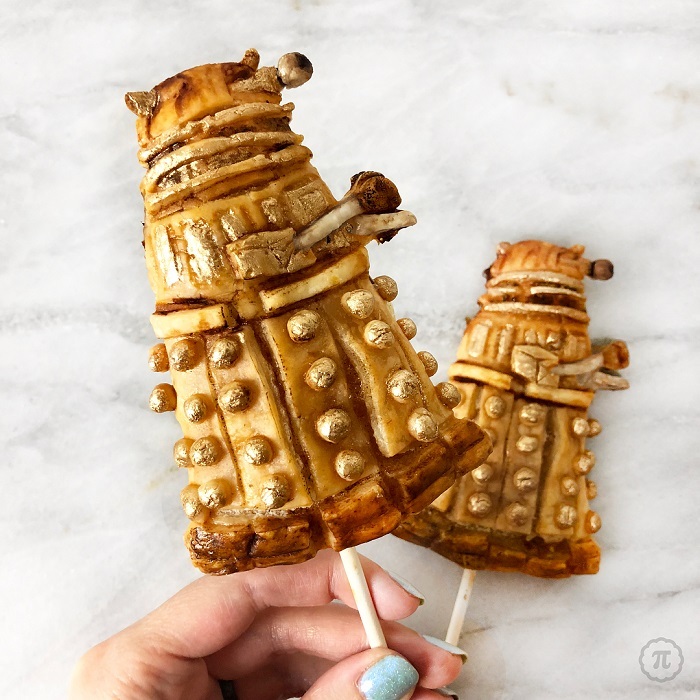 These Daleks of Doctor Who fame need to be exterminated into our mouths, please.